Dan Absalonson | Author of SciFi & Fantasy: The Christmas CaveAn Audiobook I Narrated & Produced is live! An Audiobook I Narrated & Produced is live! 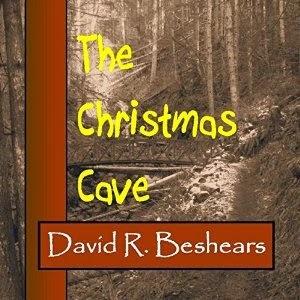 I had the pleasure of narrating author David R. Beshear's audiobook The Christmas Cave. You can find it for sale at Audible.com, in iTunes, and at Amazon. I'm very proud of this audiobook. A lot of what makes it great is of course the writing the author did that creates the story, but I had a blast figuring out all the different character's voices and personalities. There's an old woman, an old man, a few teenagers and two sets of parents. Not a huge cast, but sometimes I was very glad that I had made distinctions between narrating their voices so that the listener can easily tell who is talking. I think the story came out wonderfully in audio and is a really great listen. I'm expecting to get some promo codes soon for the audiobook from audible which will allow me to give copies away to people who will review it. Please send me a line and I'd be happy to send a promo code your way making the audiobook free with your Audible account. Head on over to the audiobook's page on Audible and listen to the sample. I hope it makes you click the buy button. Thanks for stopping by.